The Indian elephant finally has the perfect refuge in his namesake country - one that's chain-free but also safe from poachers. 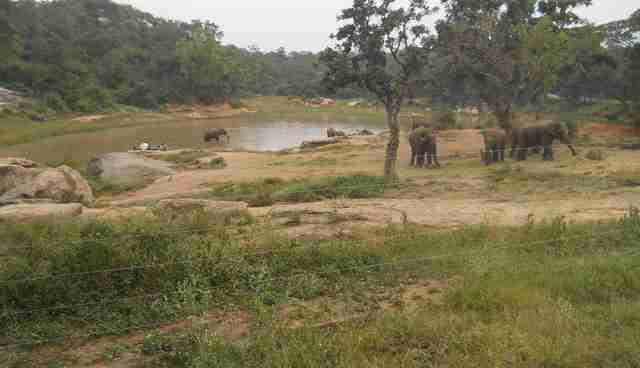 The recently completed fenced-in sanctuary, which houses abused elephants who were rescued from temples and logging camps, is the first of its kind in India. 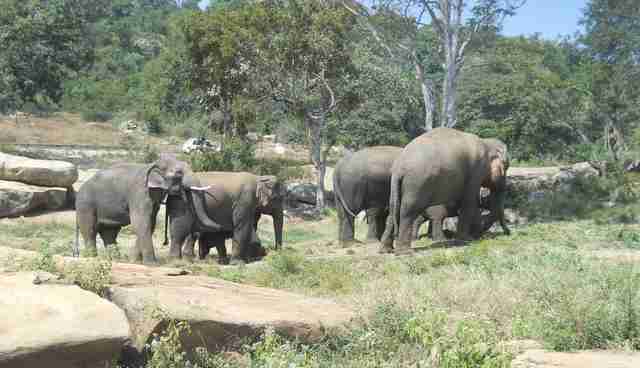 Located inside the Bannerghatta Biological Park near Bangalore, the 122-acre forest is enclosed by solar-powered electric fences - an important feature since elephants are often taken from the wild if they are unprotected. "As the first vast, free-roaming, forested elephant sanctuary in India, it includes state-of-the-art upgrades that now allow the herd to roam, bathe in ponds and socialize without being restricted by chains," John Fahrendorf, a spokesman for PETA, told The Dodo. Many of the elephants at the sanctuary have spent their entire life chained to the ground. Elephants in trekking and logging camps are often taken from their mothers in the wild at a young age and then "broken" with chains and abused to force them to behave. PETA has already trained mahouts, or handlers, on the ground to exercise positive reinforcement and humane ways to interact with elephants. One of the most famous residents is 15-year-old Sunder, whom the Indian Supreme Court in 2014 freed from a temple after he was chained and abused there. 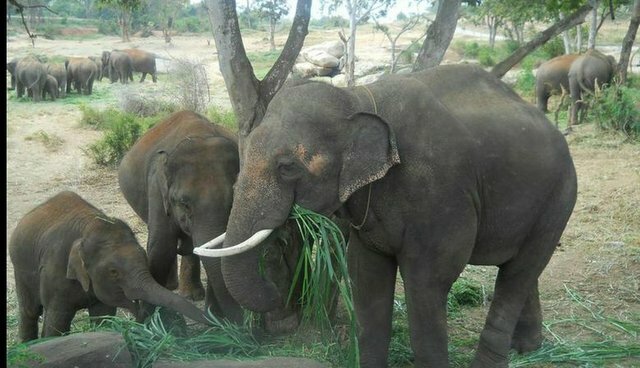 Now, Sunder is enjoying his new life, along with a herd of 14 other elephants. "With the freedom to engage in natural behavior within a large open space to call their own, Sunder and his new family have the opportunity to thrive," PETA President Ingrid E. Newkirk said in a release. "We hope the sanctuary will act as a model for elephant sanctuaries throughout Asia."